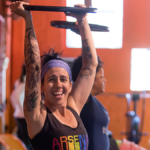 Welcome to Arsenal Strength in Pittsburgh, PA. No more boring workouts. Get your blood pumping with a motivating challenging workout. We provide you with encouragement, a great sweat, and a fitness based community. We believe everyone comes for a different reason. Personalized attention. Measurable goals. Accountability. All the tools you will need to change your life. 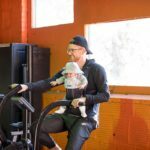 ARSENAL STRENGTH HAS HAD SUCCESS IN HELPING ANYONE START, REGARDLESS OF THEIR LEVEL OF FITNESS. Performance or aesthetics we will help you find a sustainable approach to get back to doing the things you loved. A half mile from the 62nd St. bridge next to Hop Farm Brewery. 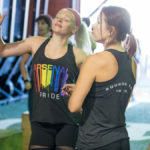 I LOVE the supportive, encouraging, and challenging community and culture of fitness at Arsenal Strength. 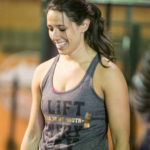 Regardless of where you are at on your fitness journey, CrossFit provides a program that helps you develop strength and mobility in a safe, positive environment. Since starting at Arsenal I've learned that you are your own worst enemy, and if you can get past all of the mental "I cant's" your body will do other thing far past what your mind believes. I am no longer just content with my fitness routine. Every day I strive to be better, stronger, faster than the day before. And with my Arsenal squad by my side, all things are possible! The days I get to Arsenal are better than the days I skip. I'm not a natural "self starter," so I can find excuses NOT to go pretty easily. The best days are the days I don't listen to the excuses. 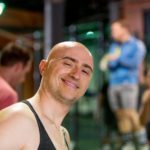 I'm going to be sore the next day no matter what (even if I skip that day's WOD), so I might as well go and keep "working on my form" until I can get some of the bigger weights on my bar! I came to Arsenal a little over a month ago, and I felt so welcomed. The coaches at Arsenal care not only about the athletes, but the programming is well thought out and executed. The coaches take the time to review the movements and make sure the athletes form is on point. It shows that they pay attention to us, and want us to improve and get stronger without getting hurt. © 2017 Arsenal Strength All rights reserved.